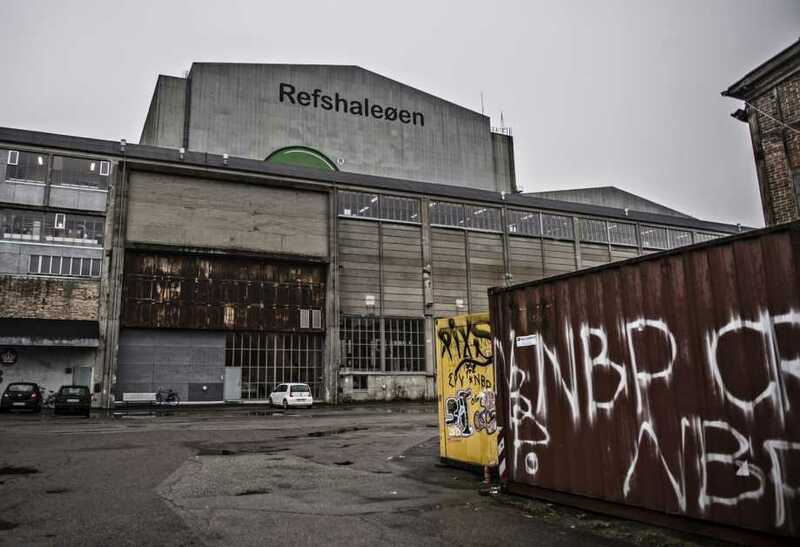 After six months of preparation work, DR's production team will in March finally completely move into the historic B&W shipyard on Refshaløen in Copenhagen. The halls are now emptied of the last containers. The mighty pillars that connect two halls will soon be gone. The gigantic ceiling will be strengthened and the gates will soon be removed and replaced by new doors. says relationship manager at Eurovision 2014 Søren Therkelsen, responsible for cooperation between DR and Copenhagen. Inside the halls, grandstands will now be constructed for the 10,000 members of the audience who will see the three TV shows and six dress rehearsals. The modules, which make up the stage will be constructed as well as green room, and sound and light rigging will be installed. Outside on Refshaleøen, a huge production area will be erected with broadcasting trucks, tents and portable cabins for the production. Dressing and make up rooms will be built, along with a canteen and accreditiaton centre as well as the press centre with space for 1,500-2,000 reporters from all over the world. You can find the latest photos from inside the venue here. Jury choices: Tanja, Wilhelm, Super Hot Cosmos Blues Band, Kõrsikud, Lenna. Televoting brought no changes in the list. Watch the full show on demand here. Watch separate performances on Youtube. Hotels.com, the leading online hotel booking portal, cited statistics of the change in the number of searches for the hotels in the capital of Denmark for Eurovision 2014 period. Comparing the number of searches for hotels in Copenhagen on 05/05/14 - 05/11/14 with the same period of the previous year, we can conclude that the interest in this direction is undoubtedly growing. By the increased number of search queries it was unexpectely Russia that came out on the top. Their number increased by 453% compared to last year! The number of requests from citizen of Ireland and the United Kingdom increased by 189% and 165% respectively. Danes themselves are also actively involved in the search for hotels on the said website, which resulted in increas by 101%. Increased interest to the capital of Denmark and it's hotels also is shown in Spain (70%), the Netherlands (25%) and Sweden (18%). Germany closes the table of leaders with a 5% rate of increase of the number of search queries. With regard to countries such as Italy, Norway and Finland, their interest compared with the previous year, has actually decreased by 35%, 24% and 29% respectively. To a lesser extent was decreased interest in Copenhagen from the residents of Switzerland and France - 14% and 13%. According to the data of portal, currently cheapest accomodation for 1 person in Copenhagen for the above mentioned dates (6 nights) costs 607€ in 10-person hostel dorm, or 747€ in a cheapest hotel room. ESCKAZ starts publication of interviews with Eurovision Song Contest 2014 entrants almost traditionally with Switzerland. We have talked with SEBalter about his impression after victory in the local selection show. "On one hand I feel positively overwhelmed and satisfied by a musical achievement I have been longing for long time. On the other hand there is a feeling of responsibility and serious commitment that is present: I am going to represent my country, and that is very important", says the singer. "Last summer I made a trip in the USA and that is when "Hunter Of Stars" took shape. Back in Switzerland, I recorded it, and in that very time subscriptions for the ESC were open. I felt ready and also felt that ESC could be a good place where to play my folk song. And being fond of challenges, I decided to participate". Sebastiano has been playing violin since age 6 - he played classical music for many years, then shifted to rock music (playing both electric bass and guitar) until he discovered the Irish folk music, which he fell in love with. His inspirations include folk rock singers such as Bob Dylan, Donovan, Bruce Springsteen as well as pop folk singers like Simon and Garfunkel or James Blunt and the Italian songwriters' tradition. Asked what helped him to succeed at the national final, Sebastiano says: "I think it was the positive vibe of the song, my musical skills, the energy and my way of making the stage my home". His Eurovision aim is to reach the finals of the competition. To reach this goal, he will continue working on his song trying to incorporate the experiences he made at his performance in the ESC decision show. Singer has already performed as guest of preselection in Malta (he mentions that he really liked winning band "Firelight" there), is expected to take part in "Eurovision in Concert" in Amsterdam and will perform in some other countries. In addition, he plans some concerts in Switzerland. We continue series of articles about future ESC venue. 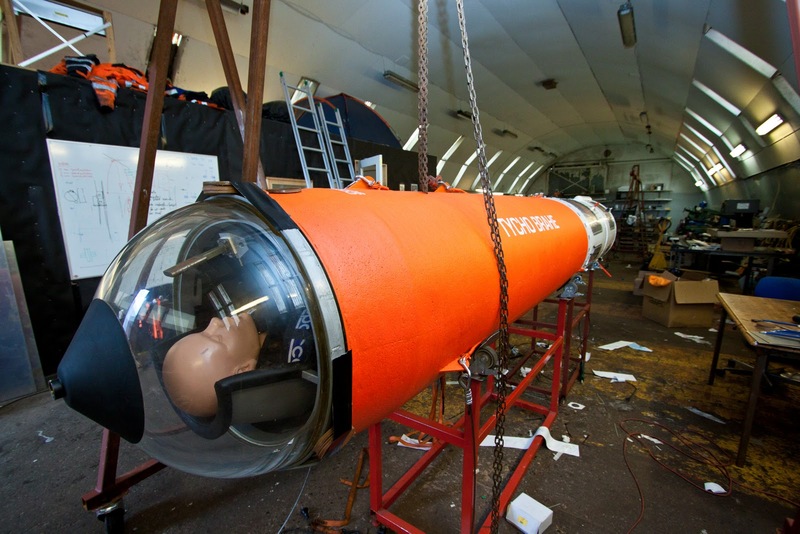 However, Refshaleøen is not only the island of Eurovision Song Contest 2014, it is also a place where are based Copenhagen Suborbitals - a suborbital space endeavor, based entirely on private donaters, sponsors and part time specialists with mission to launch human beings into space on privately build rockets and spacecrafts and proving that human space flight can be different from the usual expensive and government controlled project. Home of Copenhagen Suborbitals is a 300 sqm storage building, called Horizontal Assembly Building (HAB), which is located right next to B&W Halls - home of Eurovision 2014. 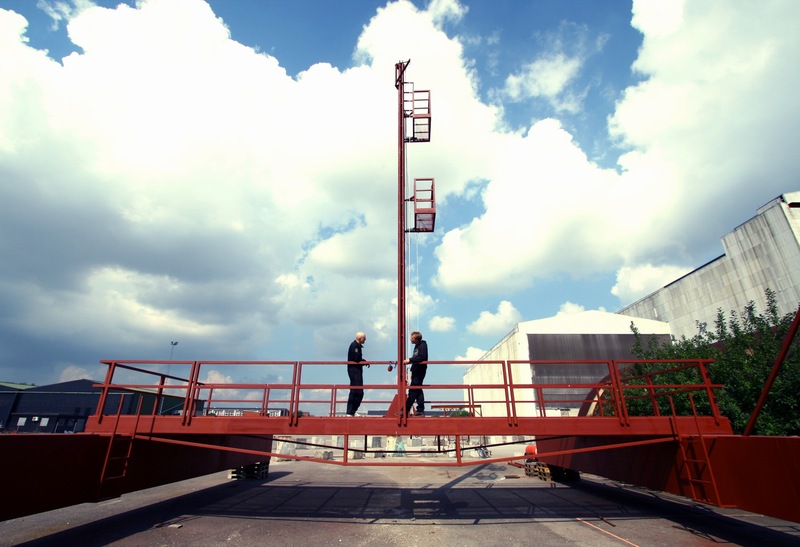 The areas around provide researchers enough space to test their own rocket engines, and being situated close to the harbour of Copenhagen makes it easy to go into sea for sea launch operation. 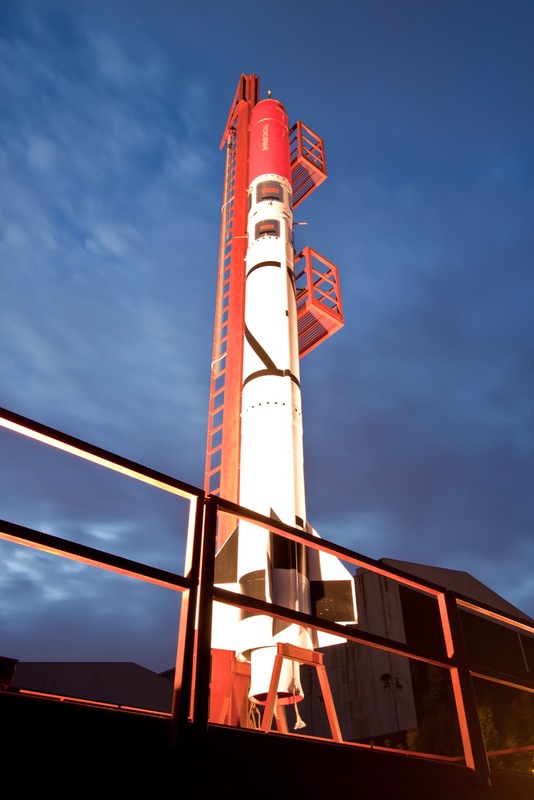 Next in schedule for the team - testing the worlds most powerful amateur rocket engine, the complete, stacked 16 meter tall HEAT 2X rocket stage with full load of 1,200 kg of propellant and full burn time. 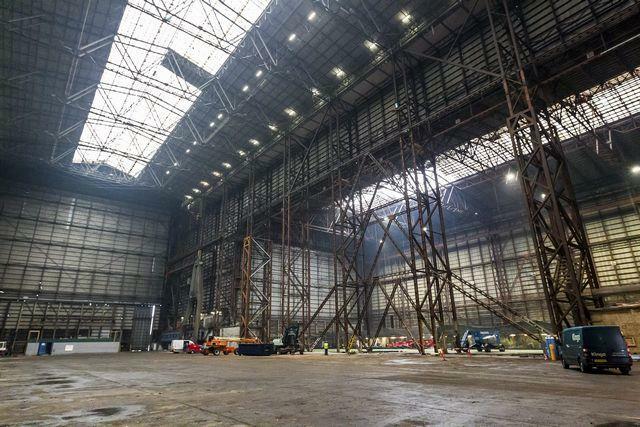 A static test will take place in second half of May 2014, right after Eurovision Song Contest at the former shipyard B&W dock area. The overall goal is that Copenhagen Suborbitals in the next 3 to 4 years should be able to launch a man 130 km into the space. Copenhagen Suborbitals also offer a guided tour for anyone interested in smelling the atmosphere of HAB and touching their hardware while getting the latest news and a general information about who they are and how they do it. During one hour you can join this guided tour as a single person or as a group. During Eurovision period, on May 11, the guided tour will be hosted by co-founder of the project Kristian von Bengtson and tickets can be purchased here for DKK 300. You can also become supporter of the project or purchase related merchandise at it's official site. Check the latest photogallery of Eurovision 2014 venue B&W Hallerne (courtesy of Host City Copenhagen). Technical and Environmental Committee decided to allocate 5 million DKK to improve conditions for pedestrians and cyclists on Refshalevej street, adjacent to Eurovision Island. Current conditions for cyclists and pedestrians today are not great: the road is narrow, vulnerable road users encounter both heavy traffic and bus route, and on parts of Refshalevej there is no sidewalk or bike path. According to plan, pedestrians and cyclists aiming to reach Refshaleøen island for Eurovision should be primarily directed at Danneskiold-Samsøes Avenue and continue their way along Kongebrovej and via the private road Krudtløbsvej to Refshalevej. Danneskiold-Samsøes Avenue and Kongebrovej are in good condition and have no need for further action, there has also been reached agreement between the owner of Krudtløbsvej and administration that the owner will make the road fit. The owner will also remove the barrier made of an approx. 2 meter high fence, which currently prevents any kind of passage of vehicles and people. However, there is a need to improve conditions for pedestrians and cyclists from the spot where Krudtløbsvej is adjacent to Refshalevej (house 110) until Refshalevej 147. Comittee has ordered the road to be widened by establishing shared bicycle and pedestrian path on both sides. In addition, administration wants to put about. 500 m2 of cobblestone immediately near Refshalevej 147. There should also be a new sidewalk made on a small part of Refshalevej (the area in orange). In addition new street lights on this part of Refshalevej will be set up. Work is expected to be completed by 1 of May. Christianshavn will become a traffic hub during the Eurovision week. Bus gate at Holmen will be open for special traffic, controlled by guard, and Refshaleøen island will be closed to cars during all shows. In order to reduce car traffic as much as possible, the municipality will transport guests to Refshaleøen with shuttle buses and shuttle boats. Local citizen have expressed the desire to limit speed on Prinsessegade street, adjacent to Christiania, during Eurovision to 30 km/h. The subway will be much in the flow of traffic to and from Refshaleøen. From the subway at Christianshavn Torv (located at 4 km distance from Eurovision venue) will be deployed extra buses to transport visitors. Thus, the project for the reconstruction of Christianshavn Torv will start only after Eurovision final. Being considered are car parking locations at old gasworks site in Sundby and land on the harbor at Amerika Plads. Special transport arrangements for Eurovision are yet to be announced, but some information on regular and shuttle transport to Eurovision Island can be found here. On Wednesday, February 19 will take place Christianshavns local Committee extraordinary meeting devoted to organization of Eurovision 2014. 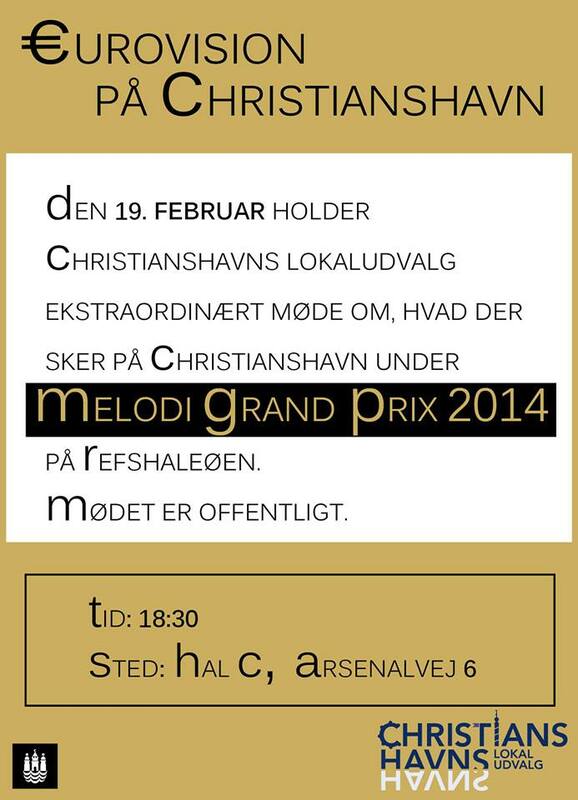 Members of public are welcome to attend meeting taking place at 18.30 in Hall C, Arsenalvej 6 at Holmen. • Semifinals in Hungarian A Dal drawn. • Line up of Belgian Eurosong Call Back show known, Ruslana will debut in jury. • Merche and David Bustamante - first jury members of Spanish preselection. 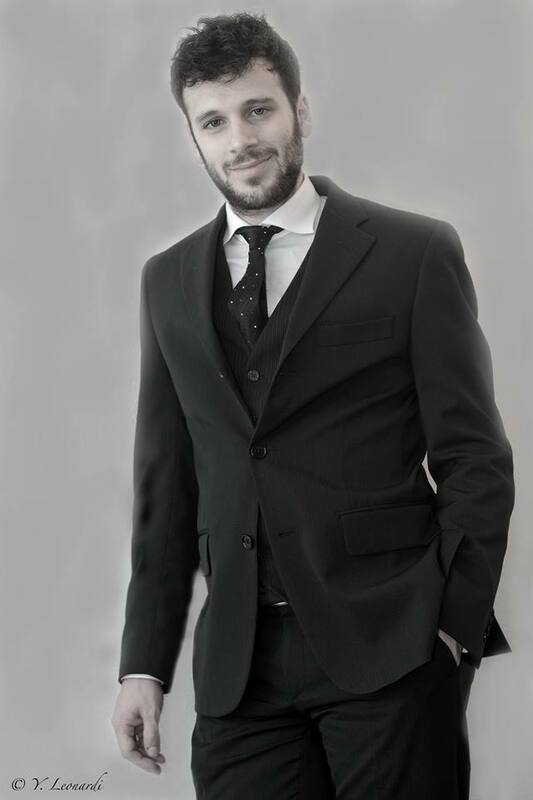 • Boris Covali replaces "Flying" with "Perfect Day" in Moldova. Denmark – and Copenhagen in particular – is known across the world for its fashion, gastronomy, architecture, film and design. But the city is also characterized for its diversity and for being the capital in the world’s happiest nation. During the Eurovision celebration in May the Municipality of Copenhagen welcomes any couple – Danish or foreign – with three offers for an unforgettable spectacular wedding. explains Director of Copenhagen Citizen Service, Thomas Jakobsen, who is responsible for marriages in Copenhagen. One of Copenhagen’s architectural pearls is the Opera House. On the 7th of May couples may get married on the verge of the Copenhagen Harbour to the sound of orchestra music and choir song. The Opera – with its picturesque setting– will play a sensational supporting act when the lead roles – personalized by the marrying couples – take the red carpet and marry in the heat of Copenhagen. On the 9th of May ceremonies will take place on Højbro Plads Square, a part of the City’s 1,4 km Fan Mile. By the foot of the statue honored Copenhagen's founder – Absalon – and with a view to the diverse Danish democracy’s centre – Christiansborg or just Borgen – speeches and entertainment amongst other things will mark this day in the sign of love. In softly rocking and intimate surroundings of a Wedding Boat - covered CO2 neutral electric boat in collaboration with Copenhagen Canal Tours. At LGBT Denmark - National Association for Gays, lesbians, bisexuals and transgender people - are happy about the initiative: "In 1989, Copenhagen City Hall performed the world’s first ever civil partnership. Now, 25 years later, the City of Copenhagen will once again play host to diversity with wedding arrangements in the city", says Søren Lauersen, chairperson of LGBT Denmark. "I am sure many people in rainbow colours – Danish as well as international – will make use of this opportunity". Director of Copenhagen Citizen Service is emphasising: "We are very focused on making every single ceremony present and personal. We are looking forward to marrying every couple during Eurovision – regardless sexual orientation. However, if you are not living in Denmark, it is very important to decide to get married in advance and send us the required documents before arriving in Copenhagen". Read more on the City of Copenhagen website. • Running order of Latvian preselection is known. • List of entries taking part in Portuguese Festival Da Cançao announced. • Names of participants and preliminary date of Greek preselection revealed. • Is This The Way (You Want Me) and You Found Me leave Lithuanian selection as line-up for 10th show revealed. Success of Eurovision stand-ins system last year, makes Danish broadcaster DR sign agreement with Malmö Latinskola. Swedish school will again provide about 40 students, and the lucky ones, chosen after auditions, will become stand-ins for the rehearsals of participating entries, that will run prior to the arrival of foreign artists to Denmark. Last year the scheme has been highly praised by SVT broadcaster and Ellen Benediktson, stand-in for France, was later invited to take part in Swedish Melodifestivalen, and managed to qualify to the finals of the show. "Eurovision organizers obviously were very happy with us last year, so they have decided to invite our students this year again. For the ones who will qualify, it will be a lot of hard work and tight schedule. Students must take responsibility and keep rehearsing on their own. Last year we have also learnt that it is important to be flexible, since country can choose to sing at a different language from their original submission, or totally change their stage performance", says Daniel Dahlqvist from Malmö Latinskola. "But of course, this represents a huge opportunity for all participants". Last year the school has sent 78 students, this year another half will be added by Danish schools. You can read about the stand-ins project of last year here and watch some of their performances, exclusively filmed by ESCKAZ here. • List of participants of German wildcard round announced. • Martynas Kavaliauskas leaves Lithuanian preselection as half of his telephone votes are declared invalid. • Date of the Spanish national final has been set on February 22. TEO and "Aura" present "Nam Nuzhna Pobeda" - official song of 2014 IIHF Ice Hockey World Championship. Ice Hockey Federation of the Republic of Belarus has organized competition to create the official song of the World Championship in Ice Hockey, which will be held this year in Belarus. Today, in the "Main Broadcast" show on Channel Belarus 1 premiered the official song "Nam nuzhna pobeda" (We needed a victory) written by Evgeny Oleynik and Yuliya Bykova (songwriters of adult Eurovision 2011 and Junior Eurovision 2007 entries, authors of soundtrack to the Junior Eurovision Song Contest 2010), original version of the show was recorded by group "Aura" (which also performed "Ale" at this year's Eurovision preselection). Today was introduced a new, duet version of the song that "Aura" performed together with TEO, representative of Belarus at Eurovision 2014 and co-host of the hockey program "BelarusLIFE" on Belarus 1. Now this song will be regularly rotated on Belarusian television and radio stations and will be performed at the world championship games. Also competition jury has noted song of the band "Litesound" - "Brothers". Safa Eldar, Lala Sultan, Wave Wave and Ayshebeyim Naghiyeva have been relegated. • 20.30 CET, Belgium: "Eurosong", 2nd castings report, Eén. Petra, Yass, Tisha Cyrus, Axeela directly qualify to the semifinals, Day One, Sil, The Bandits, Mr. Jones will take part in Call Back round. • 20.00 CET, Lithuania: "Eurovizijos atranka", 9th show, LRT1, online. Since televoting results of the show require additional verification, the final outcome of it will be announced on Monday. Program is available on demand here. • 20.00 CET, Sweden: "Melodifestivalen", 2nd semifinal, SVT1, SVT Europa, online. Sanna Nielsen and Panetoz to the final, JEM and Martin Stenmarck to Second Chance. Watch the show in SVTPlay archive here. • 20.20 CET, Hungary: "A Dal", 3rd quaterfinal, M1, Duna World, online. Jury qualifiers: Dénes Pál, New Level Empire, Full Moon. Televoting qualifiers: Gigi Radics, Mystery Gang, HoneyBeast. • 20.45 CET, Iceland: "Söngvakeppnin", 2nd semifinal, RÚV, online. Pollapönk and F.U.N.K. are direct qualifiers, Sigríður Eyrún Friðriksdóttir and Ásdís María Viðarsdóttir get wildcard. You can watch the show on demand here. • 20:45 CET, Malta, "Malta Eurovision Song Contest", TVM1, online, Eurovision.tv. Guests: Emmelie de Forest, Sebalter (Switzerland), Gaia Cauchi, Winter Moods, Gorg u Pawlu. Preceeded by "Red Carpet Show" at 18:05 CET. Firelight will represent Malta at Eurovision Song Contest 2014. Watch the show on demand here. • 20:45 CET, Malta, "Malta Eurovision Song Contest", TVM1, online. Guests: Emmelie de Forest, Maria Yaremchuk (Ukraine), The Crowns, Matthew James Borg and Peter Borg (Red Electrick). List of 14 finalists has been determined. 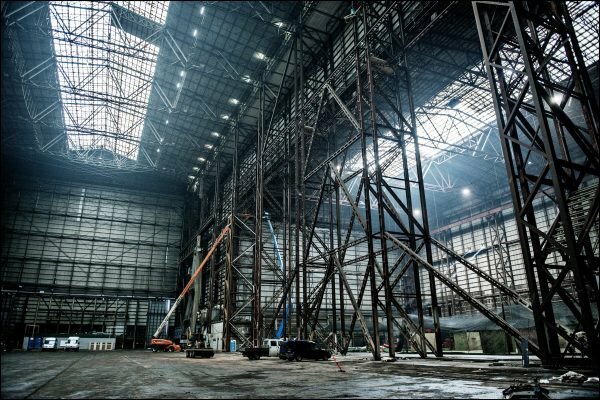 The renovation of the large hall at Refshaleøen to be used for Eurovision 2014 has proved to be more complicated than originally thought. The roof of the great hall at Refshaleøen is supported by a number of iron bars which have proved not strong enough to carry large amounts of light, sound and camera equipment to be set for the live TV broadcast to 170 million Eurovision viewers across Europe in May, writes Licitationen - Byggeriets Dagblad. It is only recently that Wonderful Copenhagen has been given full access to the B & W-halls, and the first calculations of the engineers have proven not to be true. The main problem are the three main pillars of B & W halls, which in connection with the preparation of the TV broadcast must be removed. Then there should be established an alternative construction. In a statement issued by the project company, it appears that the dismantling has been designed from the start, but the remedy has proved considerably more complicated than initially estimated by the consulting engineers, which in itself has resulted in additional costs. At the same time, the works on B & W halls have been delayed. In addition, the technical solution, which was obtained from the consulting engineers, turned out not to match the physical demands of DR requests. Specifically, it is about the bearing capacity of the roof structure that will carry light and audio equipment. DR has insisted that there is no opportunity to change their requirements for the sound and light technical settings and therefore solving the problem. This means that the project required additional costs. The setting, in DR's opinion, is essential so that show of world class can be implemented. According to consulting engineers, the removal of the main pillars of B & W halls will be associated with costs in the range of 9.9139 million kroner, of which two million kroner as originally provided directly financed by REDA (Refshaleøen Real Estate Group), who is the owner and operator of all buildings on Refshaleøen. It leaves a budget deficit of 7.9139 million kroner. Newspaper Ekstrabladet yesterday has also reported that it emerged that too low heating bills for the hall have been budgeted. Allegedly, the calculation has been made on the basis of the hot summer day, and is not applicable to weather in March. 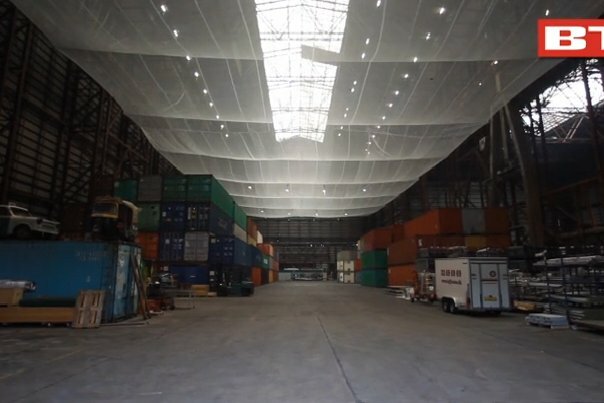 In the report, the company behind the redevelopment states: "After B & W halls were emptied of content (containers, etc), it became clear that the conditions B & W halls offer in relation to the temperature and ventilation differ from the calculations carried out in summer of 2013". Our previous article on the subject is available here. Watch the latest video from B & W Halls here. • Entries, taking part in Irish Eurosong have been presented. • 1 minute clips of rehearsals of 2nd Swedish Melodifestivalen semifinal published. Eurovision Song Contest organisers tighten measures to ensure voting integrity. Participating broadcasters will be held more accountable to ensure voting integrity in the Eurovision Song Contest. The announcement by the contest’s governing body, known as the Reference Group, follows the conclusion to an official investigation by the European Broadcasting Union (EBU) into registered attempts to unfairly influence televoting in the 2013 contest. The investigation confirmed that attempts were detected, but that they did not succeed due to the strict security procedures in place. The respective votes were subsequently declared invalid in accordance with contest rules. No evidence was found to link any participating broadcaster to any improper activity or to suggest that any broadcaster was aware of the origin of the activity. To strengthen the credibility of the voting and to further protect the Eurovision Song Contest brand, the Reference Group has tightened measures to ensure voting integrity. If voting irregularities are detected before, during or after the contest in favour of any represented country, the Reference Group will automatically initiate procedures which carry a penalty of exclusion of the respective participating broadcaster from the contest for a maximum of three consecutive years. "We did everything you may expect when something like this happens, ranging from research to interviews, to corresponding and talking with our Azeri Member Ictimai TV, to data analysis. Trying to unfairly influence the results of the Eurovision Song Contest may be against the Rules, which apply to the participating broadcaster, but it is not against the law when initiated by a person on the street. We concluded that there is no evidence that Ictimai TV had been involved with, or had been aware of the attempts", stated in an interview Eurovision supervisor Jon Ola Sand. "Just as football clubs are in principle accountable for the behaviour of their fans, we will hold – on a case-by-case basis – participating broadcasters accountable and make them responsible to prevent voting irregularities in favour of their entry,"
said Dr Frank Dieter Freiling, chairman of the Reference Group. "It is a drastic move but we are all in this together and we have to make sure nothing happens, it is not good for the brand. I have asked broadcasters, if you know something come forward and show me. If I have a smoking gun or evidence I can act, but I cannot act on rumours", said Sand to The Guardian, adding that the video allegedly showing vote rigging is now believed it to be true. "I was irritated, angry about it. We did the investigation we could, but we don't have the tools or the methods of the police. We are confident that the broadcaster itself is not involved". "We are now tightening the procedures on the jury voting, and the tele-voting, putting more responsibility on the broadcasters because we found a lot of them didn't even have a clue that this could happen. Our message to everyone is, if you are involved in acts like this, it could have a consequence, everyone will suffer." In September 2013, the EBU tightened jury rules and increased openness about each judge’s individual vote for the 2014 Eurovision Song Contest. Read more about it here. Discussions about allocation of additional funds for organization of Eurovision 2014 in B&W Halls in Copenhagen continue (read the previous report here. Lilian Parker Kaule, culture spokesman for the Liberal Alliance party says: "The request for an additional funding does not surprise me. I always see that it is municipality and the taxpayer's money used first, if someone needs money for a cultural event. If organization doesn't fit the announced budget, the organizers take no responsibility and are used to always turn to municipality for help. The argument always is - 'this is just a small amount', but it's always million here and million there. Question is not in amount, but in principle. Now Wonderful Copenhagen, the region and the municipality should submit the same amount. But in the end, it's tax money". She adds that Liberal Alliance will vote against provision of additional funds, even if that means the Eurovision party has to move to Herning. "I think it is a problem that they are seeking extra tax money compared to the original budget. They had an opportunity to make it much cheaper in Boxen in Herning", says Morten Marinus, from Danish People's Party. Copenhagen's municipality council will be voting on this issue on February 25, but it is expected that majority will still support the project. Peter Thiele, culture spokesman for Socialistisk Folkeparti in council says: "We will go all the way, and we do not mind paying extra. It is of course unfortunate that it comem so late. But we understand that it is a big project, and therefore there can be problems in the process. Thus, we fully support the Eurovision Song Contest". Enhedslisten's Susanne Langer, member of Capital Region council, that has already approved allocation of extra funds, says: "Under the circumstances, we felt that we had to vote for. Since the alternative was of course that Eurovision is to be moved to Herning. But we explained in the debate that it is poor financial management, and that next time we will not support extra allocations". She supports previous statements that basically they had to vote having a gun put to their head. "Eurovision Song Contest is to be seen as an investment in the future which will draw thousands of tourists to Copenhagen. Therefore we have decided to allocate more money to the project", explains chairman of the Capital Region council, Sophie Hæstrup Andersen. It is the third time funds for Eurovision had to be allocated, initial 7 million, then 3 mln extra, and newly allocated 4.3 mln. "I sincerely hope that this is the last time the Capital Region is opening our wallets to support Eurovision. But we do not know, of course, what else can come of contingencies, so it's hard to tell where the threshold goes", she adds. "Overall, there have emerged a number of serious and unforeseen issues relating to the physical environment, which have serious impact on the budget. These challenges must be addressed within the very nearest future to enable the project to be realized. The alternative is that the event can not be settled in Copenhagen. These costs are not budgeted for, and thus require an additional financing"
It was an "imprecise wording", a mistake made by the administration, says Kim Høgh, vice-president of Capital Region. "They should have written something like "The funds are necessary for us to organize the event at Refshaleøen". It was never intended for anyone to threaten to move the Eurovision Song Contest away from Copenhagen". Initially, 30.85 mln DKK (4.13 mln euro) have been allocated for Eurovision, spread this way: City of Copenhagen: 14.5 mln; Capital Region 7 mln; Wonderful Copenhagen 4.15 mln; Refshaleøen's Real Estate Company (REDA): 5.2 mln. 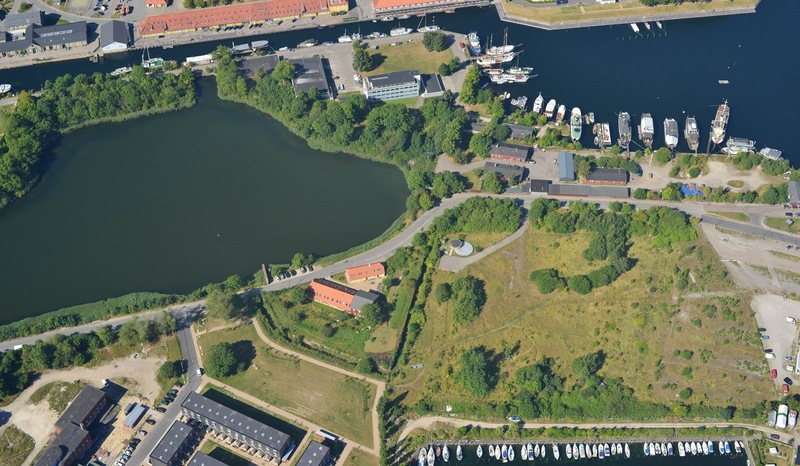 Additional expenses - total of 20.33 mln: Capital region: 3 mln (deficit warranty); 12.93 mln (additional grant, approved by Capital Region, yet to be approved by Copenhagen municipality); 4.4 million (building permit fee, yet to be approved by Copenhagen municipality). "We expect the organization to come with a proper budget before they go to politicians. There are now many indications that point to Wonderful Copenhagen organizational mistakes", said Jens-Kristian Lütken, the Liberal Party culture spokesman in Copenhagen. In addition to forgetting about necessary construction permit fee, it is now also emerged that the company behind has not examined in details the building where the show is to held and that they have budgeted too low heating bills. Wonderful Copenhagen spokesperson Emil Spangenberg didn't want to explain in detail why the original budget could not be met: "We have only just gained full access to the premises, and we have discovered that initial calculations have been too optimistic. So we have adjusted them now. But we can not comment on the technical details at this time", he says. He also rejected commenting on what could have happened if fund were not allocated. DR Executive Producer of the Eurovision Song Contest 2014 Pernille Gaardbo once again highlights that DR is responsible only for the actual show and not for development of the venue, so it is not involved in or liable for the additional allocations. "Copenhagen has promised that they will deliver the venue to us, and we remain confident they will solve all the tasks we have determined in advance", she says. Only 14% of the voters in the internet poll of Ekstrabladet newspaper have supported allocation of extra funding to keep Eurovision in B & W halls in Copenhagen. • Line-up of Irish Eurosong is confirmed. The songs will be presented tomorrow at 15.00 CET on RTÉ 2FM. • Filming of Eurovision postcards has started in Vienna. • Yuriy Vaschuk (Belarus) becomes co-host of popular TV show "BelarusLIFE". Official Eurovision twitter account has today contacted 10 people, who have earlier submitted their Eurovision Ideas requesting them to sent e-mails with their ideas to Ms. Rebecca Svensson at DR.
Philip Heyde: "Unicorns! Unicorns! Flying unicorns!" Emma Hill: "Hans Christian Andersen's fairytales with a modern/eurovision twist?! I think that would be awesome!" 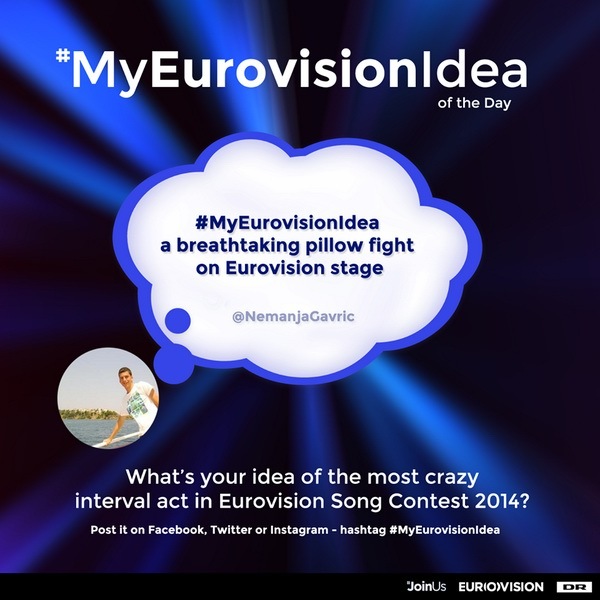 Nemanja: "A breathtaking pillow fight on Eurovision stage". zombies: "Spanish families hitting a piñata with sticks. Why? It's Eurovision we do what we like". stas mahulchik: ‏"Let children dress-up like contestants and they'll performs their songs!" Rony Castellanos: "Beautiful unicorns and Ponies dancing around a Rainbow singing". David Carache: "What about a huge huge huge neon light show?Maybe the audience can be a part of it?" φαν των Koza Mostra: "I want to see people dressed like sausages...!" SamiSweden: "The light of the arena go out, zombies and vampires Join Us!" человек: "Denmark is famous for his fairy tales. I propose to do in the interval act scenes "tales in modern life"". Read more about #MyEurovisionIdea concept at Event page and check more crazy ideas at JoinUs.dk. DR threatened to move Eurovision from Refshaleøen in Copenhagen to Herning, if city is not providing additional 13 mln DKK for 'contingencies', writes today Danish newspaper MetroXpress. According to the newspaper, redevelopment of B & W Halls on Refshaleøen in Copenhagen has proved to be more challenging than on the first thought, where among other things, the removal of the three main pillars have called for a stronger technical solution than was budgeted. Each of Copenhagen's Commune, Wonderful Copenhagen and Region Hovedstaden should find 4.3 mln DKK extra to fill in the budget by February 25. "It is bad management that they have not had a better overview of their expenses. We need to look at in a subsequent evaluation. But right now we are obliged to implement it in a proper way, so there is no real choice. We practically have the gun to our heads", says Rasmus Jarlov from Conservatives, member of Copenhagen's municipal council. DR's Pernille Gaardbo has immediately issued an own statement saying "The information is not correct. We do not threaten anyone. And we have no plans to move the show. We have good cooperation with the Host City Copenhagen, who are our partners in Copenhagen, and who are building the arena on Refshaleøen". Host City Copenhagen is cooperating with Copenhagen's Commune, Region Hovedstaden, Wonderful Copenhagen and Refshaleøens Real Estate Company. However, it is confirmed now that Copenhagen will indeed allocate 13 mln DKK extra for unforeseen expenses for the event. Yet, during the discussions of that at meentings of Copenhagen and Region Hovdstaden councils several politicians from opposition parties have voiced their dissatisfaction. "There's no doubt that the municipality will always come with the authorization of extra funds in the threat of cancellation of the contest, but in the end it will be taxpayer, who will suffer the burden", says Jens-Kristian Lütken from Venstre party. "It is DR who has to find money for the organization of Eurovision, and not the people of Copenhagen". "Project partners from the start have been aware of the challenges and risks associated with such a large project, including the possibility that there may be unforeseen expenses. These are some design changes that lead to higher costs, and it is on this basis has been granted a budget extension", says Martin Bender, Managing Director of Wonderful Copenhagen, which has coordinated the project. On December 10, 2013 it was announced that Danish broadcaster DR is to get 29.8 million krone for the Eurovision Song Contest 2014, which represents half of the excess license fees paid by the television-viewing public of Denmark in 2012, with the remainder divided between Denmark’s second television station, TV2, and the public service fund. The total budget of the competition is estimated on the same level as in Malmö - 190 million krone, so currently DR is looking for sponsors to cover the deficit. The DR money will be used to cover the cost of hosting the competition, and will be added to the 35 million DKK already donated by the city of Copenhagen. После шести месяцев приготовительной работы, продакшн-команда DR в марте окончательно въедет в историческую верфь B&W на острове Рефсхалеюн в Копенгагене. Залы в настоящее время освобождаются от последних контейнеров. Могучие колонны, соединяющие два здания, скоро будут снесены. Огромный потолок подопрут, а ворота в здание заменят на новые двери. говорит менеджер по связям Евровидения 2014 Сёрен Теркельсен, отвечающий за сотрудничество между DR и Копенгагеном. Внутри залов будут возведены трибуны и выделены места для примерно 10 тысяч зрителей, которые будут наблюдать за каждым из трех телешоу и шести открытых для публики репетиций. Потом начнется установка непосредственно самой сцены, грин-рума, звукового и светового оборудования. За пределами здания, на других территориях Рефсхалеюна, будет создана огромная рабочая зона с вагончиками, тентами и переносными кабинами. Там же будут созданы гримерные, столовые, аккредитационный центр и пресс-центр, который будет вмещать в себя 1500-2000 журналистов со всех концов света. Свежие фото изнутри залов вы можете увидеть здесь. Выбор жюри: Tanja, Wilhelm, Super Hot Cosmos Blues Band, Kõrsikud, Lenna. Телезрители не внесли в него изменений. Запись шоу можно увидеть здесь. Записи отдельных выступлений вы можете найти на Youtube. Hotels.com, ведущий портал онлайн бронирования отелей, привел статистику изменения количества поисковых запросов на отели в столице Дании на время конкурса Евровидение. Сравнив количество поисковых запросов на отели в Копенгагене в период 05.05.14 - 11.05.14 с тем же периодом предыдущего года, можно сделать вывод, что интерес к направлению, несомненно, растет. По возросшему количеству поисковых запросов Россия вышла на первое место. Их число увеличилось на 453% по сравнению с прошлым годом! Число запросов жителей Ирландии и Великобритания повысилось на 189% и 165%. Датчане также активно участвуют в поиске отелей на сайте Hotels.com, что проявляется в увеличении показателей на 101%. Возрос интерес к отелям столицы Дании и в Испании (70%), Нидерландах (25%) и Швеции (18%). Замыкает таблицу Германия с 5-ти% показателем увеличения количества поисковых запросов. Что касается таких стран как Италия, Норвегия и Финляндия, то их показатели, по сравнению с прошлым годом, уменьшились на 35%, 24% и 29% соответственно. Немного в меньшей степени понизилась заинтересованность в отелях Копенгагена у жителей Швейцарии и Франции - на 14% и 13%. По данным портала, в настоящее время самое дешевое проживание для 1го человека в Копенгагене в вышеупомянутые даты (6 ночей) обойдется в 607€ в 10-местной комнате в хостеле, или 747€ в самой дешевой комнате в отеле. ESCKAZ начинает публикацию интервью с участниками конкурса Евровидение 2014, практически по традиции, с представителя Швейцарии. Себалтер поделился с нами своими впечатлениями от победы на местном отборочном шоу. "С одной стороны я чувствую позитивный подъем и удовлетворение музыкальным достижением, которого я добивался в течении долгого времени. С другой стороны, присутствует чувство ответственности и серьезных будущих обязательств: ведь я буду представлять свою страну, и это очень важно", говорит певец. "Прошлым летом я был в поездке в США, и там "Hunter Of Stars" приобрел первые очертания. Вернувшись в Швейцарию, я записал его, и как раз в это время открылся прием на участие в отборе на Евровидение. Я почувствовал себя готовым и также подумал о том, что Евровидение могло бы также стать подходящим местом для исполнения моей фолк-песни. И, поскольку я люблю принимать на себя новые вызовы, то я решил принять участие". Себастьяно начал играть на скрипке в возрасте 6 лет - много лет он играл классическую музыку, потом перейдя на рок-музыку (играя как на гитаре, так и бас-гитаре) до того, как он открыл для себя ирландскую фолк-музыку, которую немедленно полюбил. Его вдохновляют как фолк-рок исполнители, такие как Боб Дилан, Донован, Брюс Спрингстин, так и поп-фолк исполнители как Саймон и Гарфанкель или Джеймс Блант, и традиции итальянских певцов и авторов песен. На вопрос, что помогло ему больше всего добиться успеха на национальном отборе, Себастьяно говорит: "Я думаю, что это были позитивные эмоции песни, мои музыкальные умения, энергия и то, как я смог сделать сцену своим домом". Его цель на Евровидении - выйти в финал конкурса. Для ее достижения, он продолжить работать над своей песней, пытаясь использовать тот опыт, который он получил во время национального отбора. Певец уже выступил в качестве гостя на отборе Мальты (он отмечает, что ему очень понравилась группа-победитель "Firelight"), ожидает участия в "Eurovision in Concert" в Амстердаме и выступит еще в ряде других стран. Помимо того, он планирует провести и несколько концертов в Швейцарии. С полным текстом интервью (на английском) вы можете ознакомиться на нашей странице в Фэйсбуке. Мы продолжаем серию статей о месте проведения будущего конкурса Евровидение. Однако, Рефсхалеюн - не только остров Евровидения 2014, это еще и место, где базируются Copenhagen Suborbitals - суборбитальный космический проект, действующий полностью за счет частных вложений, спонсоров и частно занятых специалистов, имеющий цель - запустить людей в космос на частных ракетах или космических кораблях и доказать, что пилотируемый космический полет может отличаться от обычной дорогой и контролируемой государством процедуры. Домом Copenhagen Suborbitals является склад в 300 кв.м., именуемый Horizontal Assembly Building (HAB), расположенный в непосредственной близости от B&W Hallerne - дома Евровидения 2014. Пространство вокруг предоставляет исследователям достаточно места, чтобы проверить свои собственные ракетные двигатели, а местонахождение вблизи от гавани Копенгагена позволяет легко выйти в море для запусков ракет. Copenhagen Suborbitals также предлагают туры с гидом, для всех желающих изучить атмосферу HAB и потрогать оборудование, параллельно узнав свежие новости и общую информацию о том, кто они и чем занимаются. Вы можете присоединиться к этому одно-часовому туру как частное лицо или группа. На Евронеделе, 11 мая, тур будет проводить один из со-основателей проекта Кристиан фон Бенгтсон и билеты на него можно приобрести здесь за 300 крон. Вы также можете поддержать проект и приобрести его официальные сувениры и постеры на его официальном сайте. Познакомьтесь со свежими фотографиями места проведения Евровидения 2014 - B&W Hallerne (предоставленные Host City Copenhagen). Комитет по технике и среде обитания решил выделить 5 миллионов крон на улучшение условий для пешеходов и велосипедистов на улице Refshalevej, прилегающей к острову Евровидения. В настоящее время условия для велосипедистов и пешеходов не являются оптимальными: дорога слишком узка, пешеходы подвергаются опасности пересекая напряженную улицу, по которой также проходит автобусный маршрут, на части дороги нет ни обочины для пешеходов, ни дорожки для велосипедистов. Согласно плану, пешеходы и велосипедисты, направляющиееся на остров Рефсхалеюн на Евровидение должны продвигаться в основном по проспекту Danneskiold-Samsøes Avenue и продолжить свое движение по Kongebrovej и далее по частной дороге Krudtløbsvej до Refshalevej. Danneskiold-Samsøes Avenue и Kongebrovej находятся в хорошем состоянии и дополнительные работы там не требуются, также было достигнуто соглашение с владельцем дороги Krudtløbsvej о том, что он приведет ее в надлежащее состояние. Хозяин обязался удалить барьер, сделанные из примерно 2х метрового забора, который в настоящее время блокирует дорогу для движения пешеходов и транспортных средств. Однако, существует значительная необходимость улучшения условий с точки слияния Krudtløbsvej и Refshalevej (дома 110) до дома Refshalevej 147. Комитет указал расширить дорогу, создав на ней общую велосипедно-пешеходную дорожку по обеим ее сторонам. Также, администрация планирует уложить около 500 кв.м. брусчатки около Refshalevej 147. На небольшой части Refshalevej (окрашена оранжевым) должна быть проложена новая обочина. В дополнение ко всему, будут установлены новые фонари. Ожидается, что работы будут завершены к 1 мая. Кристиансхаун станет основным траффик-хабом на время недель Евровидения. Существующие транспортные ворота в Холмене будут открыты для пропуска охранником специального транспорта, а на время самих шоу проезд на автомобилях до Рефсхалеюна будет закрыт. Для того, чтобы уменьшить автомобильный траффик до минимума, муниципалитет планирует перевозить зрителей на шоу с помощью шаттл-автобусов и шаттл-лодок. Местные жители высказали пожелание ограничить максимальную скорость движения на улице Prinsessegade, прилегающей к Христиании, на время Евровидения до 30 км/ч. Метро станет важной частью доставки пассажиров от и до острова Рефсхалеюн. От станции метро Christianshavn Torv (расположенной в 4х км от зрительного зала) будут отправляться дополнительные автобусы для перевозки зрителей. Таким образом, планы по реконструкции площади Christianshavn Torv отложены на время после Евровидения. Специальные маршруты движения транспорта на время Евровидения пока не объявлены, но некоторую информацию о регулярном и шаттл-транспорте на остров Евровидения вы можете найти здесь. В среду, 19 февраля, пройдет чрезвычайное заседание местного комитета Кристиансхауна, посвященое организации конкурса Евровидение 2014. Жители района приглашаются принять участие в заседании, которое состоится в 18.30 в Hall C, Arsenalvej 6 в Холмене. • Объявлен состав полуфиналов венгерского A Dal. • Объявлен состав раунда Call Back бельгийского Eurosong, Руслана впервые примет участие в работе жюри. • Мерче и Давид Бустаманте - первые члены жюри испанского отбора. • Борис Коваль заменил "Flying" на "Perfect Day" в Молдове. Дания, и Копенгаген в частности, известны по всему миру своей модой, гастрономией, архитектурой, кинематографом и дизайном. Но город также характеризуется своим разнообразием и является столицей самой счастливой в мире нации. В дни Евровидения в мае муниципалитет Копенгагена предлагает любым парам - как датским, так и зарубежным - три возможности заключить брак в незабываемой необычной обстановке. объясняет директор Копенгагенского центра обслуживания населения Томас Якобсен, отвечающий за заключение браков в Копенгагене. 7го мая возможно заключить брак с масштабной свадебной церемонией с оркестром и хором на живописном фоне около Оперного театра Копенгагена. 9го мая церемонии будут проходить на площади Højbro Plads, части городской Фан Мили. Около подножия статуи, посвященной основателю Копенгагена - Абсалону - и с видом на центр датской демократии - Christiansborg или просто Borgen – речи и развлекательные мероприятия, помимо прочего, отметят этот день знаком любви. В интимном пространстве свадебной лодки - CO2 нейтральной электрической лодки, в сострудничестве с Copenhagen Canal Tours. В организации ЛГБТ Дании очень обрадованы инициативе: "Копенгаген возвращается к празднованию разнообразия и проведению свадебных церемоний в городских точках", говорит Сёрен Лауерсен, председатель ЛГБТ Дании. "Я уверен, что многие радужные пары, как датские, так и зарубежные, примут данное предложение"
Директор Центра Обслуживания Населения подчеркивает: "Мы постараемся сделать каждую церемонию личной. Мы с нетерпением ждем возможности помочь заключить парам брак во время Евровидения - вне зависимости от их пола и ориентации. Однако, если вы не являетесь гражданами Дании, важно принять решение о браке заранее и выслать нам необходимые документы до вашего приезда в Копенгаген". Подробнее можно прочитать на странице мэрии Копенгагена. • Стал известен порядок выступлений в финале латвийского национального отбора. • Объявлен список песен, принимающих участие в португальском Festival Da Cançao. • Объявлен список участников и предварительная дата греческого национального отбора. • Is This The Way (You Want Me) и You Found Me покидают литовский отбор, оглашен состав на 10е шоу. Успех системы дублеров в прошлом году, привел к заключению организаторами конкурса 2014 со стороны датского телеканала DR соглашения с школой Latinskola в Мальме. Шведская школа вновь выставит около 40 своих учащихся, и лучшие из них, после прослушиваний, станут официальными дублерами для репетиций конкурсных песен, которые будут проходить в Копенгагене до прибытия в столицу Дании самих зарубежных артистов. В прошлом году эта система была очень высоко оценена телеканалом SVT и Эллен Бенедиктсон, дублер Франции, была приглашена для участия в шведском отборе на Евровидение 2014 - Мелодифестивалене, где уже вышла в финал шоу. "Организаторы Евровидения очевидно были очень довольны нашей работой в прошлом году, и потому они вновь решили пригласить наших учеников. Для тех, кто пройдет прослушивания, предстоят напряженная работа и очень сложное расписание. Ученики должны относиться к делу со всей ответственностью и продолжать репетировать свои песни. В прошлом году, мы также поняли, что нужно уметь легко адаптироваться к изменениям, ведь страны могут выбрать исполнение песни на другом языке, отличающемся от первоначальной заявки, или полностью изменить свое сценическое выступление", говорит Даниель Дальквист, представитель Malmö Latinskola. "Но, конечно, это открывает перед участниками огромные возможности". В прошлом году школа предоставили для системы дублеров 78 человек, в этом году вторая их часть будет выставлена датскими школами. Вы можете прочитать о прошлогоднем проекте дублеров здесь и посмотреть на ряд их выступлений, которые были эксклюзивно сняты ESCKAZ здесь. • Объявлен состав участников немецкого вайлдкард раунда. • Martynas Kavaliauskas покидает литовский отбор, после того, как половина голосов за него признаны недействительными. • Дата проведения финала испанского отбора назначена на 22 февраля. TEO и "Аура" представляют "Нам Нужна Победа" - официальную песню Чемпионата Мира по Хоккею 2014 года. Федерация Хоккея Республики Беларусь провела отборочный конкурс на создание официальной песни Чемпионата Мира по Хоккею с шайбой, который состоится в этом году в Беларуси. Сегодня в рамках программы "Главный Эфир" на телеканале Беларусь 1 состоялась премьера официальной песни "Нам нужна победа", авторами которой стали Евгений Олейник и Юлия Быкова (авторы песен взрослого Евровидения 2011, Детского Евровидения 2007, саундтрека к Детскому Евровидению 2010), оригинал песни записала группа "Аура" (которая исполнила на отборе к Евровидению этого года песню "Але". А сегодня была представлена новая, дуэтная версия композиции, которую "Аура" спела вместе с ТЕО, представителем Беларуси на Евровидении 2014 и ведущим хоккейной программы "БеларусьLIFE". Теперь эта песня будет регулярно ротироваться на белорусских теле- и радио-станциях и прозвучит на играх мирового первенства. Также, отборочное жюри конкурса отметило и песню группы "Litesound" - "Brothers". Сафа Эльдар, Лала Султан, Wave Wave и Айшебейим Нагиева покинули шоу. • 23.30 Москвы, Belgium: "Eurosong", 2й репортаж с кастингов, Eén. Petra, Yass, Tisha Cyrus, Axeela напрямую вышли в стадию полуфиналов, Day One, Sil, The Bandits, Mr. Jones примут участие в раунде Call Back. • 23.00 Москвы, Литва: "Eurovizijos atranka", 9е шоу, LRT1, онлайн. Поскольку результаты телеголосования потребуют дополнительной проверки, окончательный итог шоу будет объявлен в понедельник. Запись программы можно увидеть здесь. • 23.00 Москвы, Швеция: "Melodifestivalen", 2й полуфинал, SVT1, SVT Europa, онлайн. Sanna Nielsen и Panetoz вышли в финал, JEM и Martin Stenmarck примут участие в раунде Второй Шанс. Увидеть запись шоу вы можете в архиве SVTPlay. • 23.20 Москвы, Венгрия: "A Dal", 3й четвертьфинал, M1, Duna World, онлайн. Вышли в следующий раунд по решению жюри: Dénes Pál, New Level Empire, Full Moon; по решению зрителей: Gigi Radics, Mystery Gang, HoneyBeast. • 23.45 Москвы, Исландия: "Söngvakeppnin", 2й полуфинал, RÚV, онлайн. Pollapönk и F.U.N.K. выходят в финал напрямую, Sigríður Eyrún Friðriksdóttir и Ásdís María Viðarsdóttir присоединяются к ним в качестве wildcard. • 23:45 Москвы, Мальта, "Malta Eurovision Song Contest", TVM1, онлайн, Eurovision.tv. Гости: Emmelie de Forest, Sebalter (Швейцария), Gaia Cauchi, Winter Moods, Gorg u Pawlu. Предваряет "Red Carpet Show" в 21:05 Москвы. Firelight представят Мальту на Евровидении 2014. • 23:45 Москвы, Мальта, "Malta Eurovision Song Contest", TVM1, онлайн. Гости: Emmelie de Forest, Мария Яремчук (Украина), The Crowns, Matthew James Borg and Peter Borg (Red Electrick). Был определен список из 14 финалистов. Реновации большого здания на острове Рефсхалеюн, которое планируется использовать для проведения конкурса Евровидение, оказалась намного сложнее, чем оценивалось первоначально. Крыша здания, которую поддерживает ряд железных столбов, оказалась недостаточно прочной, чтобы выдержать огромное количество светового, звукового оборудования и телекамер, которые должны быть установлены для обеспечения телеэфира для 170 миллионов жителей Европы в мае. Компания Wonderful Copenhagen только недавно получила полный доступ к B & W halls, и первоначальные подсчеты инженеров оказались неправильными. Основной проблемой являются три главные колонны B & W halls, которые для подготовки к телеэфиру необходимо снести. Для этого должны быть созданы альтернативные конструкции. Согласно заявлению, выпущенному компанией, руководящей проектом, снос колонн был запланирован с самого начала, но его осуществление оказалось значительно более сложным, чем первоначально оценили инженеры - консультанты, что вызывает дополнительные затраты. В то же самое время, работы над B & W halls задерживаются. В дополнение, техническое решение, которое было предложено инженерами, как оказалось, не соответствует запросам, сделанным телекомпанией DR. В частности, речь идет о несущей способности структуры крыши, на которой должно быть закреплено световое и звуковое оборудование. Телеканал DR настаивает на том, что нет никакой возможности изменить их требования к звуковому и световому оборудованию и решить проблему таким образом. Это означает, что и эта часть проекта потребует дополнительных расходов. Установка оборудования согласно плану DR абсолютно необходима для воплощения шоу мирового уровня. По подсчетам инженеров, снос основных колонн B & W halls обойдется в 9.9139 млн крон, из которых 2 млн крон были изначально выделены компанией REDA (Группой по недвижимости Рефсхалеюна), которая является владельцем и оператором всех зданий на острове. Таким образом, остается бюджетный дефицит в 7.9193 млн крон. Вчера также сообщалось о том, что в первоначальный проект были заложены слишком низкие расходы на отопление зданий. Похоже, что подсчеты были сделаны на основе жаркого летнего дня, и их нельзя применить к обычной погоде мая. В отчете, компания, которая занимается перестройкой зала, сообщает: "После того, как B & W halls были освобождены от содержимого (контейнеров и т.п.) стало ясно, что температурное и вентиляционное состояние, в котором находятся сейчас B & W halls, отличаются от подсчетов, проведенных летом 2013 года". С предыдущей нашей публикацией можно ознакомиться здесь. Свежее видео из B & W Halls вы можете увидеть здесь. • Презентованы песни, принимающие участие в ирландском отборе Eurosong. • Выложены 1-минутные отрывки видеозаписей репетиций 2го полуфинала шведского отбора Melodifestivalen. Организаторы конкурса Евровидение усилить меры по обеспечению честности голосования. Участвующие вещатели станут более подотчетными в обеспечении честности голосования в конкурсе Евровидение. Объявление, сделанное руководящим органом конкурса, известным как Организационная группа, следует за завершением официального расследования Европейского вещательного союза зарегистрированных попыток незаконно повлиять на результаты телеголосования в конкурсе 2013 года. Расследование подтвердило, что подобные попытки имели место, но не удались из-за строгих мер безопасности. Соответствующие голоса были впоследствии признаны недействительными в соответствии с правилами конкурса. Однако, не было найдено никаких доказательств, связывающих какой-либо из участвующих телеканалов с подобной ненадлежащей деятельностью или достаточных для предположения, что какая-либо участвующая телекомпания знала о проведении такой деятельности. Для укрепления авторитета голосования и для дальнейшей защиты бренда "Евровидение", Организационая группа ужесточила меры по обеспечению честности голосования. Если нарушения в телеголосовании обнаруживаются до, во время или после конкурса в пользу любой из участвующих стран, Организационная группа будет автоматически инициировать процедуру, которая повлечет за собой наказание в виде исключения соответствующей телекомпании из конкурса на срок максимум до трех лет. "Мы сделали все возможное в данном случае, провели расследование, опросы, общались с вещателем Азербайджана Ictimai TV, провели анализ данных. Попытки повлиять на результаты голосования на Евровидении нарушают правила, которые применяются к участвующим вещателям, но не является нарушением, если инициирована человеком с улицы. В итоге, мы пришли к выводу, что нет никаких доказательств того, что телеканал Ictimai TV был замешан или был в курсе подобных попыток", заявил в интервью исполнительный супервайзер конкурса Йон Ола Санд. говорит д-р Франк Дитер Фрейлинг, председатель Организационной группы. "Это радикальный шаг, но мы должны убедиться в том, что не произойдет ничего такого, что могло бы повредить бренду Евровидения. Я спрашивал вещателей, знают ли они о каких-то подобных попытках, и если да - то чтобы они передали мне свою информацию. Если у нас появились бы неопровержимые доказательства или свидетельства, мы смогли бы подействовать, но мы не можем основываться на слухах", сказал Санд в интервью The Guardian, добавляя, что литовское видео, на котором показана процедура вероятной подтасовки голосования в настоящее время считается достоверным. "Я был очень раздражен и зол. Мы провели все возможные расследования, но у нас нет возможностей или методов, доступных полиции. Однако, мы уверены в том, что сам телеканал не был замешан в подтасовках". "Мы ужесточили правила о голосовании жюри и о голосовании телезрителей, наложив на вещателей дополнительную ответственность, потому что мы обнаружили, что множество из них вообще не понимает, как такое может происходить. Наш месседж им всем - если вы будете замешаны в подобных действиях, то у них будут последствия, пострадают все." Обсуждение вопроса необходимости выделения дополнительных финансов на проведение конкурса Евровидение в B&W Halls в Копенгагене продолжается (с нашим прошлым репортажем вы можете ознакомиться здесь. Лилиан Паркер Кауле, представитель партии Liberal Alliance говорит: "Запрос на выделение дополнительных средств совершенно не удивляет меня. Я постоянно вижу, что если кому-то нужны средства на проведение культурных мероприятий, то прежде всего используются деньги муниципалитета и налогоплательщикив. Если организация не укладывается в заявленный бюджет, то организаторы никогда не принимают на себя ответственность, а постоянно обращаютя в муниципалитет за помощью. И аргументация всегда одна и та же - "это небольшая сумма", но постоянно это миллион здесь, миллион там. Вопрос даже не в сумме, а в принципе. И сейчас Wonderful Copenhagen, городской и региональный муниципалитеты должны вложить одинаковые суммы. Но в конце-то концов, это все те же деньги налогоплательщиков". Она добавляет, что ее партия проголосует против выделения средств, даже если это будет означать, что Евровидение придется перенести в Хернинг. "Я расцениваю подобный запрос на выделение дополнительных средств налогоплательщиков сверх запланированного бюджета как реальную проблему. У них была возможность провести конкурс намного дешевле в Boxen в Хернинге", говорит Мортен Маринус из Датской Народной Партии. Муниципальный совет Копенгагена проголосует по данному вопросу 25го февраля, но ожидается, что его большинство все-таки поддержит проект. Петер Тиеле, представитель Социалистической Народной партии говорит: "Мы пойдем до конца, и потому у нас нет возражений на выделение дополнительных средств. Жаль, конечно, что этот запрос поступил так поздно. Но мы понимаем, что это большой проект, и потому проблемы могут возникать в процессе его реализации. Потому, мы полностью поддерживаем конкурс Евровидение". Представитель партии Enhedslisten Сюзанне Лангер, член регионального совета, который уже утвердил выделение дополнительных средств, говорит: "В данных условиях, нам пришлось проголосовать за. Потому что альтернатива, которая стояла перед нами - перенос Евровидения в Хернинг. Но во время дебатов мы выразили свое неудовлетворение плохой организацией, плохим финансовым управлением, и что мы больше не поддержим каких-либо новых дополнительных запросов". Она поддерживает предыдущие заявления о том, что решение принималось "со стволом у виска". "Конкурс Евровидение надо рассматривать как инвестицию в будущее, которая привлечет тысячи туристов в Копенгаген. Потому мы решили выделить дополнительные суммы на его организацию", объясняет председатель совета Столичного региона Софи Хеструп Андерсен. Это уже третий раз, когда совету пришлось выделить деньги на Евровидение - сначала 7 млн, потом 3 дополнительных, и новые 4.3 млн. "Я очень надеюсь, что это последний раз, когда Столичному региону приходится открыть свои кошельки для поддержки Евровидения. Но, конечно, мы не можем предвидеть, какими могут быть непредвиденные расходы, и где проходит крайняя черта", добавляет она. "Появились ряд серьезных и непредусмотренных вопросов, относящихся к физической стороне места проведения конкурса, которые серьезным образом повлияли на его бюджет. Эти вопросы должны быть решены в самом ближайшем будущем, чтобы позволить реализовать проект. В противоположном случае, проведение конкурса в Копенгагене станет невозможным. Эти затраты не были первоначально включены в бюджет, и потому на их покрытие требуется дополнительное финансирование"
Это была "неточная формулировка", ошибка, допущенная администрацией, говорит Ким Хёг, вице-президент Столичного региона. "Они должны были написать что-то вроде "Средства необходимы нам для организации мероприятия на Рефсхалеюне". Никогда мы не хотели никому угрожать переносом конкурса из Копенгагена". Первоначально, на Евровидение были выделены 30.85 миллионов крон (4.13 млн евро), распределенные таким образом: Муниципалитет Копенгагена: 14.5 млн; Столичный регион: 7 млн; Wonderful Copenhagen: 4.15 млн; Компания по недвижимости Рефсхалеюна (REDA): 5.2 млн. Дополнительные расходы - общая сумма в 20.33 млн: Столичный регион: 3 млн (гарантия дефицита бюджета); 12.93 млн (дополнительный грант, уже утвержденный Столичным регионом, утверждение советом Копенгагена еще предстоит); 4.4 млн (разрешение на перестройку здания, обсуждение в муниципалитете Копенгагена еще предстоит). "Мы ожидаем, что оргкомитет сначала составляет грамотное бюджетное планирование, прежде чем обращаться к политикам за финансированием. Сейчас слишком много указывает на организационные просчеты компании Wonderful Copenhagen", говорит Йенс-Кристиан Люткен, представитель Либеральной партии в Копенгагене. Кроме того, что они забыли о необходимости оплаты разрешения на перестройку здания, они еще и провели недостаточный его анализ, и заложили в бюджет слишком низкие расходы на отопление. Представитель компании Wonderful Copenhagen Эмиль Спагенберг не захотел дать подробных объяснений тому, почему не удалось уложиться в первоначальный бюджет: "Мы только лишь сейчас получили полный доступ к месту проведения конкурса, и обнаружили там, что первоначальные подсчеты расходов были излишне оптимистичеными. Потому мы их скорректировали в сторону увеличения. Но комментировать технические вопросы я сейчас не могу", говорит он. Он также отказался дать свой комментарий на вопрос, что было бы, если дополнительные финансы бы не были выделены. Исполнительный продюсер Евровидения от телеканала DR Пернилле Гаардбо вновь подчеркивает, что DR отвечает только за само шоу, а не за перестройку зала, потому не имеет никакого отношения и не несет никакой ответственности за то, что на это потребовались новые средства. "Копенгаген пообещал нам подготовить место проведения конкурса, и мы остаемся уверенными, что они смогут решить все задачи, которые были определены изначально", говорит она. Только 14% проголосовавших в интернет опросе газеты Ekstrabladet поддержали выделение дополнительных финансов для сохранения Евровидения в залах B&W в Копенгагене. Недавнее видео изнутри B&W Halls можно увидеть здесь. • Стал известен список участников Ирландского Eurosong. Презентация их песен пройдет завтра с 18.00 Москвы на RTÉ 2FM. • Съемки посткардов участников Евровидения начались с Вены. • Юрий Ващук (Беларусь) становится со-ведущим популярного телешоу "BelarusLIFE". Официальный твиттер аккаунт Евровидения сегодня связался с 10 людьми, которые ранее подали свои Eurovision Ideas, идеи о том, какими должны быть интервал-акты конкурса Евровидение 2014, и попросил их отправить электронные письма с изложением своих идей представителю телеканала DR Ребекке Свенссон. Philip Heyde: "Единороги! Единороги! Летающие единороги!" Emma Hill: "Сказки Ганса Христиана Андерсена в современном/евровидийном изложении?! Я думаю, что это было бы круто!" Nemanja: "Захватывающий дух бой на подушках на сцене Евровидения". zombies: "Испанские семьи, бьющие пиньяту палочками. Почему? Ведь на Евровидении мы делаем все, что захотим". stas mahulchik: ‏"Пусть дети переоденутся во взрослых конкурсантов и споют их песни!" Rony Castellanos: "Красивые единороги и пони, танцующие вокруг радуги и поющие". David Carache: "Как насчет огромного огромного неонового светового шоу? И может быть бы зрители тоже могли принять в нем участие?" φαν των Koza Mostra: "Я хочу увидеть людей, переодетых в сосиски...!" SamiSweden: "Свет арены затухает и к нам Присоединяются зомби и вампиры!" человек: "Дания знаменита своими сказками. Я предлагаю сделать интервал акт из сцен "сказки в современной жизни"". Подробнее о концепции #MyEurovisionIdea вы можете прочитать на нашей странице организации мероприятия, а с другими сумасшедшими идеями - на JoinUs.dk. DR пригрозило перенести конкурс Евровидение с Рефсхалеюна в Копенгагене в Хернинг, если город не выделит дополнительные 13 миллионов крон на "непредвиденные расходы", пишет сегодня датская газета MetroXpress. По ее информации, доработка залов B&W на Рефсхалеюне оказалась более сложной, чем думалось изначально, в частности, удаление трех основных колонн потребовало более сильного технического решения, чем было заложено в изначальном бюджете. Муниципалитет Копенгагена, Wonderful Copenhagen и Столичный регион должны до 25 февраля выделить по дополнительные 4.3 млн крон, чтобы залатать финансовые дыры. "Это очень плохой менеджмент, если они не смогли лучше оценить предстоящие расходы. Нам нужно провести повторную оценку. Но в настоящее время нам нужно продолжать воплощать подготовку по плану, поэтому у нас нет реального выбора. Фактически, нам приставили ствол к голове"", говорит Расмус Ярлов, представитель партии Консерваторов, член муниципального совета Копенгагена. Продюсер конкурса от телеканала DR Пернилле Гаардбо немедленно выпустила ответное заявление, сообщив: "Эта информация не соответствует действительности. Мы никому не угрожаем. У нас нет никаких планов переноса шоу. У нас превосходное сотрудничество с группой Host City Copenhagen, которая является нашим партнером в городе и продолжает возведение зала на острове Рефсхалеюн". Host City Copenhagen в свою очередь сотрудничает с муниципалитетом Копенгагена, Столичным регионом, Wonderful Copenhagen и Компанией по недвижимости Рефсхалеюна. Тем не менее, подтверждено, что Копенгаген действительно выделит дополнительные 13 миллионов крон на непредусмотренные расходы по организации конкурса. Во время обсуждения этого вопроса на заседаниях советов Копенгагена и Столичного региона, ряд политиков из оппозиционных партий выразили свое неудовлетворение. "Нет никаких сомнений, что муниципалитет всегда утвердит выделение дополнительных средств при угрозе переноса конкурса, но в конце концов, все эти расходы лягут тяжелым грузом на налогоплательщиков", говорит Йенс Кристиан Люткен из партии Venstre. "Это DR должно находить деньги для организации Евровидения, а не жители Копенгагена." "Все партнеры проекта с самого начала знали о всех вызовах и рисках, связанных с таким крупным проектом, включая возможность появления незапланированных расходов. Действительно, ряд изменений в дизайне привел к повышению расходов, и на этом основании мы выделили в бюджет организации дополнительную сумму", говорит Мартин Бендер, исполнительный директор Wonderful Copenhagen, координирующей проект. 10го декабря было объявлено, что датская телекомпания DR получила 29.8 млн крон на проведение конкурса Евровидение 2014, что представляет собой половину суммы лицензионных сборов, оплаченных телезрителями Дании в 2012 году, а оставшаяся часть будет разделена между вторым телеканалом Дании TV2 и фондом государственной службы. Всего же общий бюджет DR оценивается на том же уровне, что и в Мальме - 190 млн крон, и потому в настоящее время вещатель активно ищет спонсоров для покрытия его дефицита. Эти деньги пойдут на покрытие расходов на организацию конкурса, и будут добавлены к 40 миллионам крон, уже выделенных на эти цели мэрией Копенгагена.